Updated at 6:28 p.m. on Thursday, Feb. 14, 2019, with more information. The highest paid government worker in Ontario Canada is about to become the highest paid federal employee in America. The Tennessee Valley Authority has tapped Ontario Power Generation CEO Jeff Lyash to succeed the retiring Bill Johnson as head of the nation's biggest government utility. Lyash, a 57-year-old engineer who has worked in the utility industry for more the past 38 years, is leaving the Toronto utility next month to become only the third CEO of TVA in the agency's 86-year history. 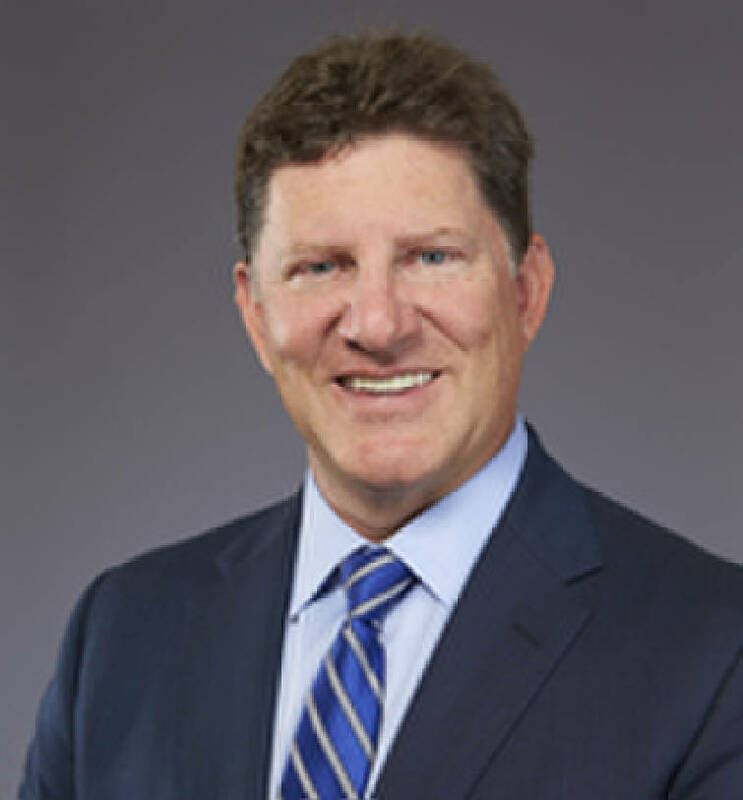 Lyash has headed one of the largest electrical generating companies in Canada since July 2015 after previously serving as president of Chicago Bridge & Iron Power from 2013 to 2015 and working for nearly two decades in a variety of management and executive roles for Progress Energy and Duke Energy, which took over Progress in 2012. Lyash, who began his career at PP&L in Pennsylvania and later worked at the U.S. Nuclear Regulatory Commission and TVA's Browns Ferry Nuclear Plant as a senior reactor operator, previously worked with Johnson at Progress in North Carolina and was recruited to come to work for TVA by the same executive search firm, The McAulay Smith Firm in Charlotte, North Carolina, which also recruited Johnson to TVA nearly six years ago. Last year, Lyash was appointed chair of the Electric Power Research Institute (EPRI), an international organization for public interest energy and environmental research. Jay Stowe, TVA's senior vice president of resources and operations support, serves on the board with Lyash at EPRI. TVA Chairman Richard Howorth said the board and its consultants reviewed more than 40 applicants for the job, interviewed the top candidates and ultimately selected Lyash as the one with best experience in the industry and in public power. "The board made it a priority to find a leader of strong character, deep industry experience and proven leadership skills and we believe we have found an individual who embraces the TVA public power model," Howorth said. While most TVA stakeholders welcomed the appointment of Lyash, a leading environmental group that was often critical of Johnson's leadership at TVA expressed concern Thursday that Johnson may have tried to pick a similar successor. "It is our sincere desire that Lyash will be receptive to open dialogue and work to put the public back in public power for customers large and small," said Stephen Smith, executive director of the Southern Alliance for Clean Energy who has criticized Johnson for his record high federal pay, his use of corporate aircraft and for a lack of transparency about incentives and some committee deliberations. "The appearance that Johnson handpicked one of his friends as his successor in a non-transparent manner is of grave concern." But U.S. Sen. Lamar Alexander, Tennessee's senior senator and chair of the Senate Appropriations Subcommittee on Energy and Water Development, praised TVA's hiring of Lyash. "He appears to be well-qualified for the position, and I look forward to working with him in appropriate ways as the United States Senate provides oversight of the agency's operations," Alexander said. "Mr. Lyash is inheriting the leadership of the Tennessee Valley Authority at a time when TVA is doing a good job of filling its responsibility to produce large amounts of reliable clean electricity at the lowest cost to ratepayers." Johnson, who turned 65 last month and announced last fall he wants to retire once his successor is named, helped pare more than $800 million of annual operating expenses at TVA, allowing the federal utility to invest $15 billion in capital upgrades over the past six years while still cutting its debt to a 25-year low and keeping rates virtually stable over the past give years due to cheaper fuel and operating expenses. During a public listening session Wednesday, representatives of major customer groups, farmers and industrial leaders all praised Johnson's leadership at TVA over the past six years. "TVIC (the Tennessee Valley Industrial Committee) firmly believes that Bill has made positive changes to TVA and TVA is moving in the right direction," said Richard Holland of the Packaging Corp. of America in Jackson, Tennessee and the public affairs chair for TVIC. John Lalley of Mississippi Silicon said the $220 million facility his company built in Burnsville, Mississippi would have probably located in Arkansas if not for the efforts of Johnson and his team at TVA. Although some environmental groups such as the Southern Alliance for Clean Energy have criticized Johnson for favoring big industrial customers, the head of the Sierra Club's Beyond Coal Campaign, Jonathan Levenshus, thanked Johnson for helping to phase out much of TVA's coal-fired generation during his tenure with the closing of Widows Creek, Colbert, Allen and New Johnsonville coal plants and the planned shut down by 2023 of the final units at the Paradise and Bull Run fossil plants. For his efforts, Johnson was given a compensation package valued at more than $6 million a year, making Johnson the highest paid federal employee in the United States. TVA directors said Johnson's pay still ranks in the bottom 25 percent of of pay levels for comparable utility CEOs. Lyash was paid $1.5 million in annual pay to take the top job at OPG in 2015 and, with a compensation package last year valued at nearly $2.2 million, Lyash was the highest paid public servant in the Ontario province. "It has been a privilege to lead OPG over the past 3 years," Lyash said in a statement Wednesday announcing his plans to leave Ontario Power at the end of March. "It was truly an honour to work with the dedicated and talented employees of OPG and I have no doubt they will continue to move from success to success." Lyash is due to make considerably more in his new job back in the United States. In a Securities and Exchange Commission filing Thursday, TVA said Lyash will be paid a recruitment and relocation incentive of more than $1.78 million, a sign-on bonus payment of $380,000 and TVA will pay for all of his moving costs to Knoxville. Lyash will be paid a base annual salary of $920,000 and will be eligible for Executive Annual Incentive Plan payments based upon his performance and long-term incentive plan payments to meeting TVA goals and longevity of up to another $3.4 million. Other long-term retention payments will be given Lyash if he performs and stays in his CEO role at TVA and he will be able to participate in the TVA Supplemental Executive Retirement Plan. Lyash also will be transported around the valley at times in TVA's jets and aircraft, although the TVA board did adopt new policies Thursday to require better documentation for the need and types of uses for the corporate aircraft. Lyash will be only the third CEO at TVA since the the agency's leadership was revamped under federal legislation in 2005. For most of its 86-year history, TVA was governed by a 3-member, full-time board. But Congress changed the governance of TVA in 2005 to a 9-member, part-time board that hires a chief executive to run the agency. Johnson said it is an opportune time for a leadership change. TVA is preparing to release a draft version of its new long-range power plan on Friday, but he said he would work through an orderly transition with Lyash. "I've got my fishing rod ready in my car now," Johnson quipped.